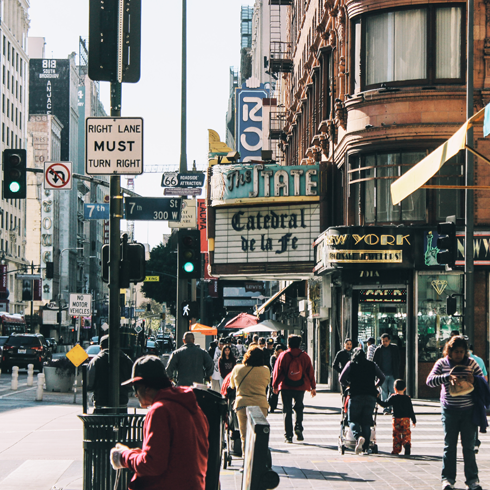 From iconic marquees to bustling crowds, Broadway is an incredible location to explore in downtown Los Angeles, California. 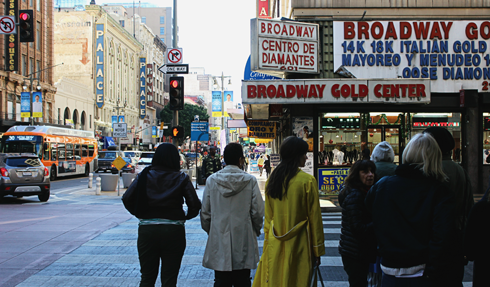 As one of the city's first commercial districts, Broadway gained prominence in the early 20th century as the site of some of the finest theaters and movie palaces in the world. 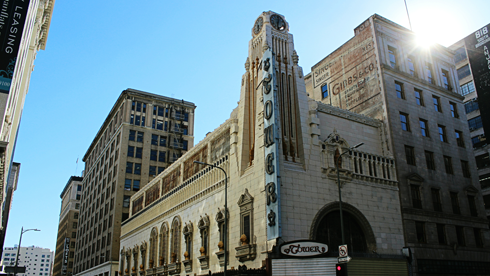 This included, among others, the Million Dollar Theatre, Orpheum Theatre, United Artists Theatre, Los Angeles Theatre, and Tower Theatre. 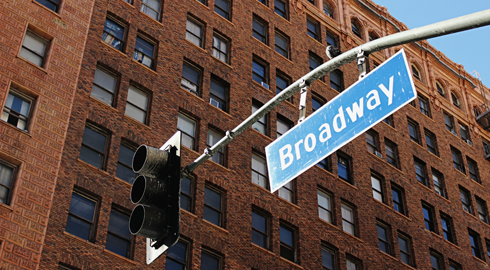 Broadway was once considered the center of the city, and in the 1920s and 1930s the street marked the western end point of Route 66 (it then moved to the Santa Monica Pier). 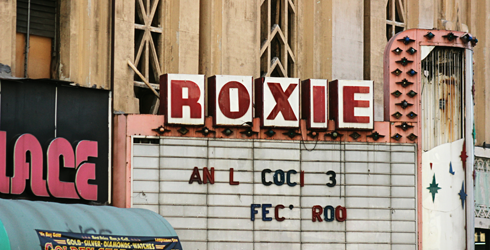 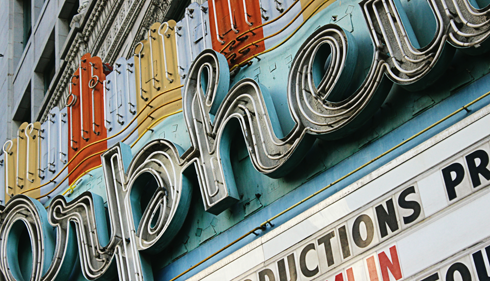 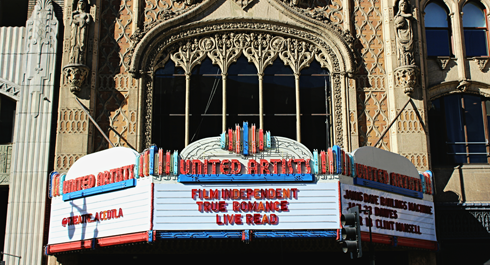 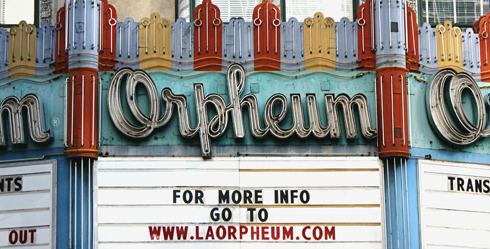 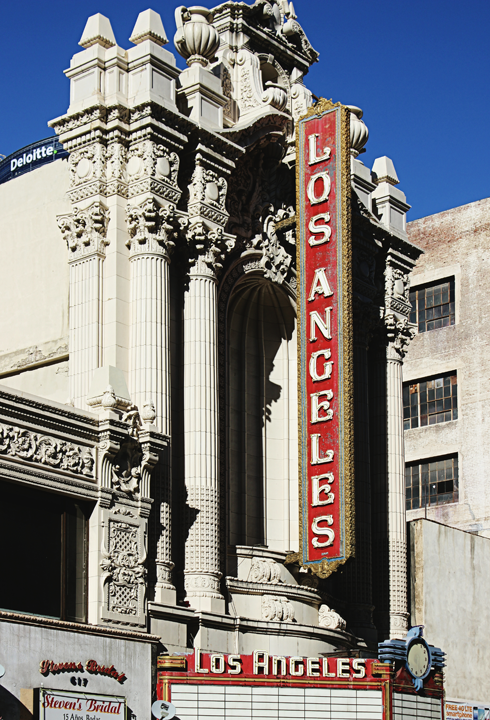 As Los Angeles grew in the 1950s and the attention of the movie industry shifted to Hollywood and newer venues, the theatres and street in general began to decline in later decades. 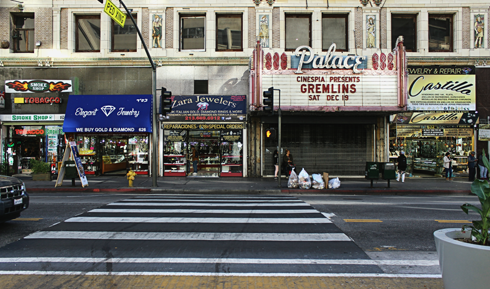 The Broadway Theater District has since undergone a lot of renewal in recent years with many buildings being repurposed as condos, apartments, and hotels. 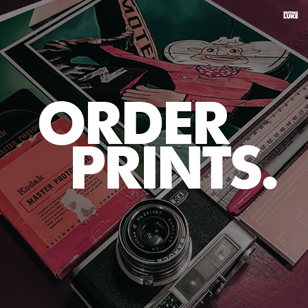 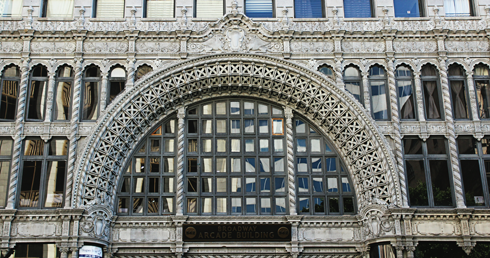 Other restoration / revitalization projects along Broadway have included the iconic Bradbury Building, the Ace Hotel and United Artists Theatre, and the dynamic Grand Central Market. 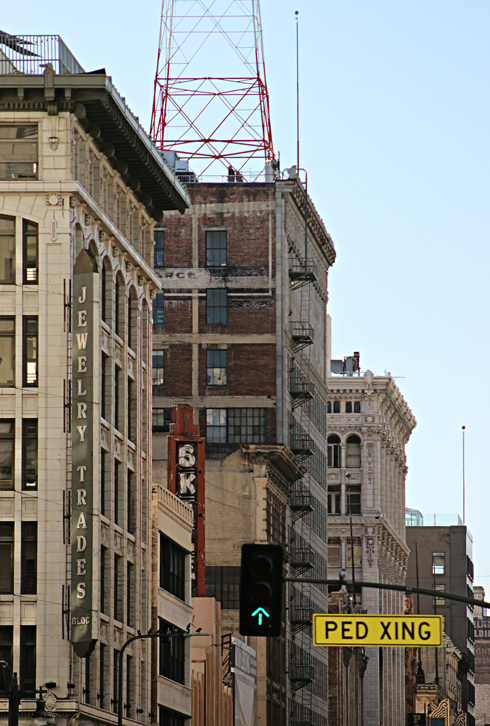 It's tough not to be won over by the architecture, energy, and novelty found along this amazing street. 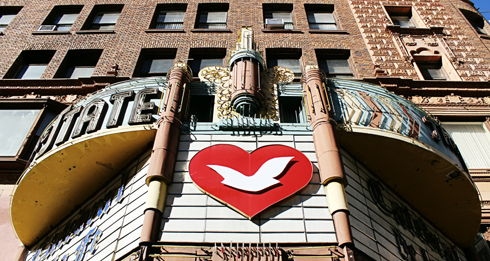 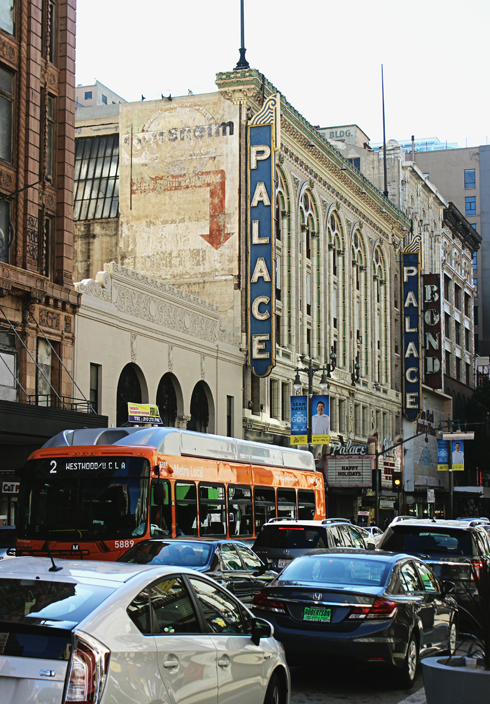 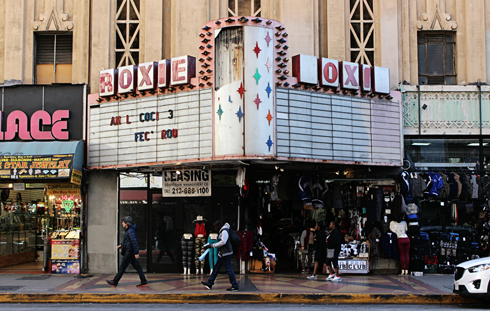 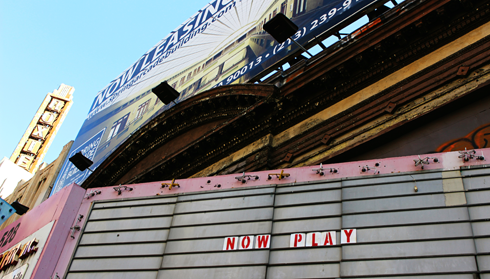 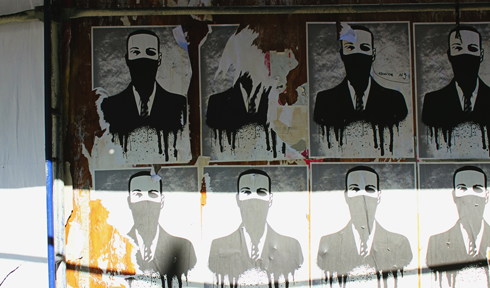 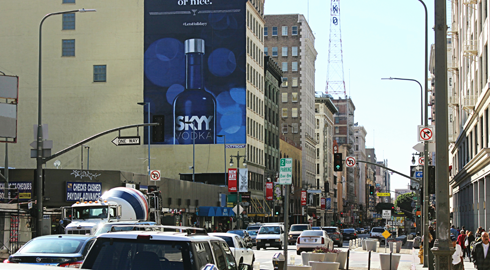 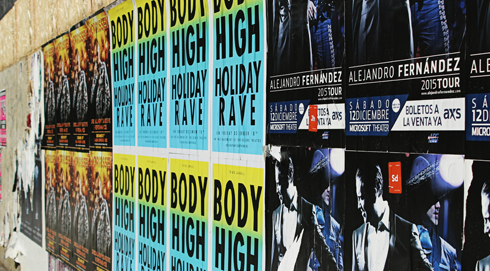 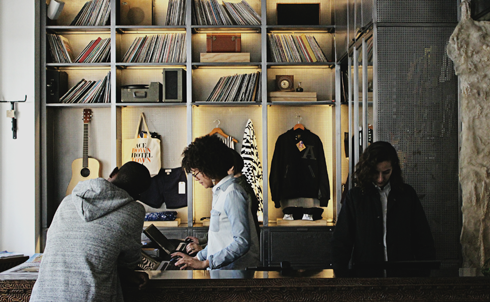 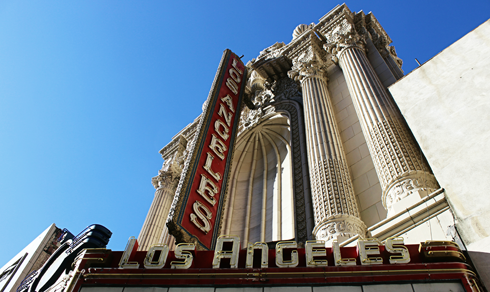 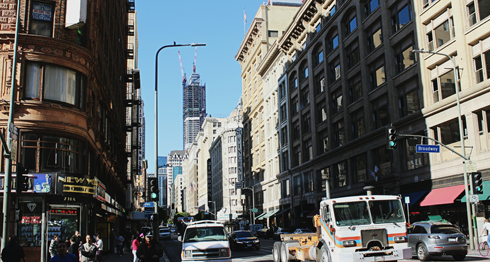 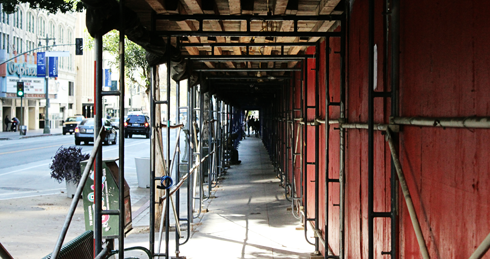 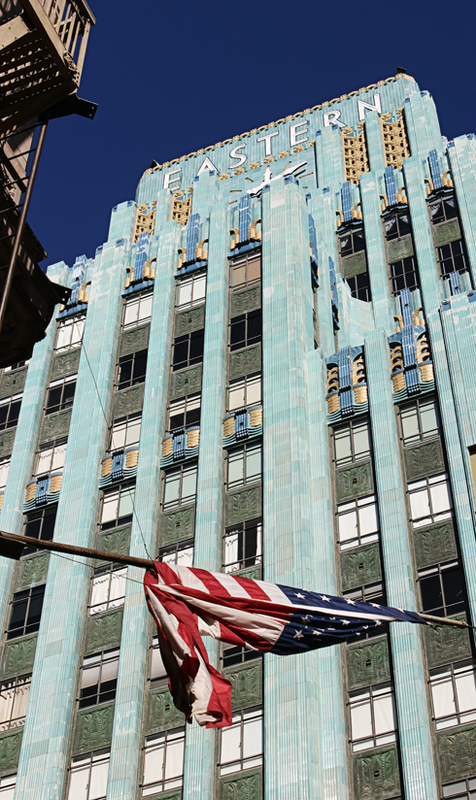 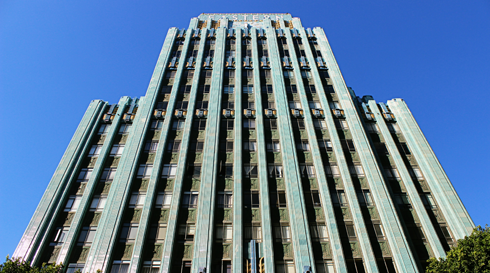 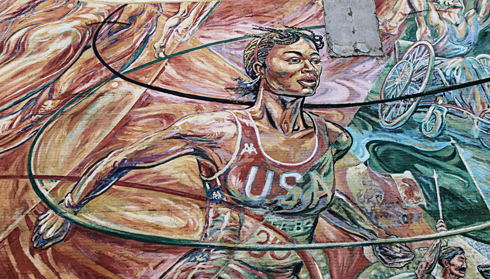 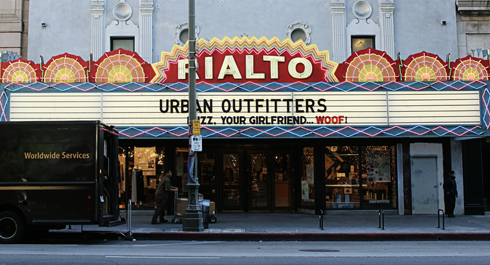 Broadway packs a punch of character and charm that makes DTLA a blast to discover for yourself.